Get a head start on your morning routine with our 2-in-1 Shampoo+Bodywash. With extract of invigorating grapefruit to gently cleanse the skin and Hops extract for its skin softening properties, this is a Human+Kind shower treat. You and your hair will stay fresh as a daisy in one simple step. Follow up with Human+Kind’s new range of Conditioners to reveal super soft healthy hair that has clearly been treated with kindness! As a Shampoo : Spread shampoo evenly through hair, and massage thoroughly before rinsing. 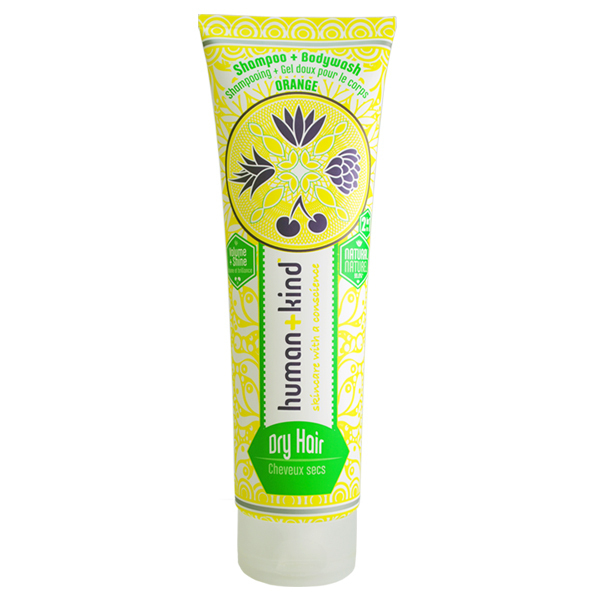 For best results, follow up with Human+Kind Conditioner for All Hair Types. As a Bodywash: Massage onto wet skin using a body puff or sponge and rinse off.